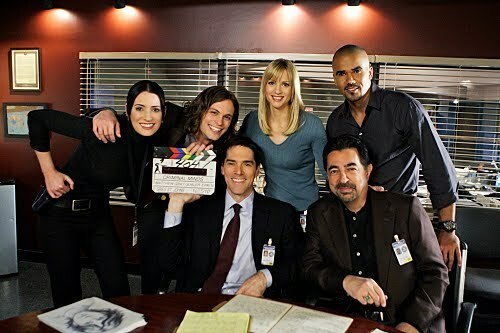 Criminal Minds cast. Best cast ever (Kirsten is missing, though). Wallpaper and background images in the क्रिमिनल माइण्ड्स club tagged: criminal minds season 5 matthew gray gubler aj cook paget brewster joe mantegna thomas gibson shemar moore. I love this cast !!! Awww, I love this pic! But yay, a new Cast picture!!! Thank you for putting this picture online. This is one of the many great pictures of me and the cast. I love you all you make a wonderful team. You all are a great pick for cast for this show I couldn't think of anyone better. love the show and the whole cast. I LOVE THE WHOLE CAST AND SHOW I WATCH IT EVERYNIGHT AND CAN'T WAIT TILL IT STARTS. I ALSO HAD A DREAM 2 DAYS AGO IN MY SLEEP I MET THE CAST AND HELPED THEM SOLVE A LAST PIECE OF A PUZZLE AND WAS HIRED ON THE TEAM.